What's New in Artisan POS 3.5? Transfer by Case Quantity instead of by Pieces - You can now set transfer quantities to be in cases instead of each unit. From System Administration, Configuration Settings, Miscellaneous Program Options, F4 More Configuration Information, change the "Transfer Inventory by Cases Instead of Pieces?" field to Y. You will need to do this on each station you want to behave this way. Requires Multi-Store or Deluxe Feature Pack. This will apply to Transfer Between Locations in all modes: counts entered manually, scan mode, or upload from PDT. Change Location on Purchase Order - Alt-L on a Purchase Order now has an option to change the requested site for all the items on the PO. You must have Inventory Tracking by Location turned on as well as Purchase & Receiving by Location. Requires Multi-Store. New Report: Retail Planning Report - For stores that are serious about the science behind ordering merchandise and stock levels, this report is for you (or your planning company such as Management One). We have exported data into an excel format for many years, but now you can see the data in a formatted fashion. Click on the Reports Pull Down Menu, then choose More Standard Reports. Type the word, "PLAN", and then run the one report that comes up. Management One Export & Planning Report: Use Level 1 Category Codes as OTB Class Codes when no OTB Class is set for a Category hierarchy. 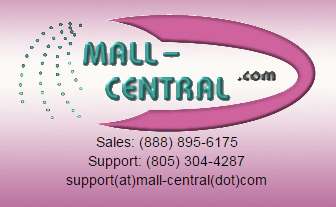 New Advanced Sales Export for Mall Central (mall-central.org). This allows you to post consignment vendor sales from your store to a website so vendors can monitor their sales. Requires Deluxe Feature Pack. Fix so copied PO doesn't link to original Purchase Requests. Add Cognitive Advantage DLX Barbell label SSL-397 and adjust defaults for SSL-501 to match current media, with vertical offset 3 and darkness 300 (was -20, 100).